Remember Hum Paanch? Yes, that Ekta Kapoor's show, one of the most popular sitcoms of the 90s, which was launched in the year 1995 and went on till 1999, gaining cult status and making it to the list of the most memorable shows of all times. 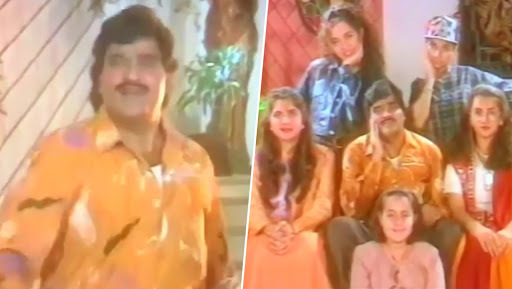 Well, the show, that starred Ashok Saraf, Shoma Anand, Vidya Balan, Rakhi Vijan/Tandon, Bhairavi Raichura, Vandana Pathak among others, completes 24 years on television. On Tuesday, nostalgic Ekta took to the photo-sharing app to share the introductory track of Hum Paanch and an emotional note on its 24th anniversary. Ekta wrote, "On a Tuesday third week of March a small production house launched a show from an office created in a garage! A mother daughter duo started a show of a father with five daughters! 24 years later it’s still one show that makes ppl smile! Sorry for the bad video quality but lots was lost in the floods in 2005 July!Thanku @zeetv @punitgoenka Thanku #HUMPAANCH #twentyfouryearsofhumpaanch"
A rebooted version of the 90’s cult comedy Hum Paanch, Hum Paanch Phir Se, was launched in June 2017. It came as a happy surprise for all 90s kids when Big Magic decided to get back the cult comedy show about the unique five sisters Hum Paanch. However, the channel decided to axe the comedy series in 2018. The last episode was aired on Holi. Keep watching this space for further updates on your favourite shows.